This apartment on the slopes of Dnipro River where light hits and fills the space from dawn till sunset offers splendid color change on both sides of the window. 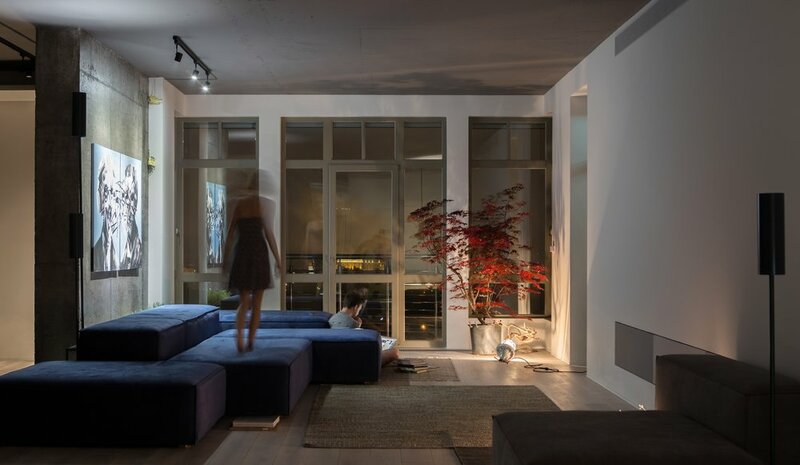 This time architects decided to stick to the minimal urban loft which remains an unusual choice for family homes and suited rather for public spaces. Design is charismatic and cosy, highly admired by loft true lovers. 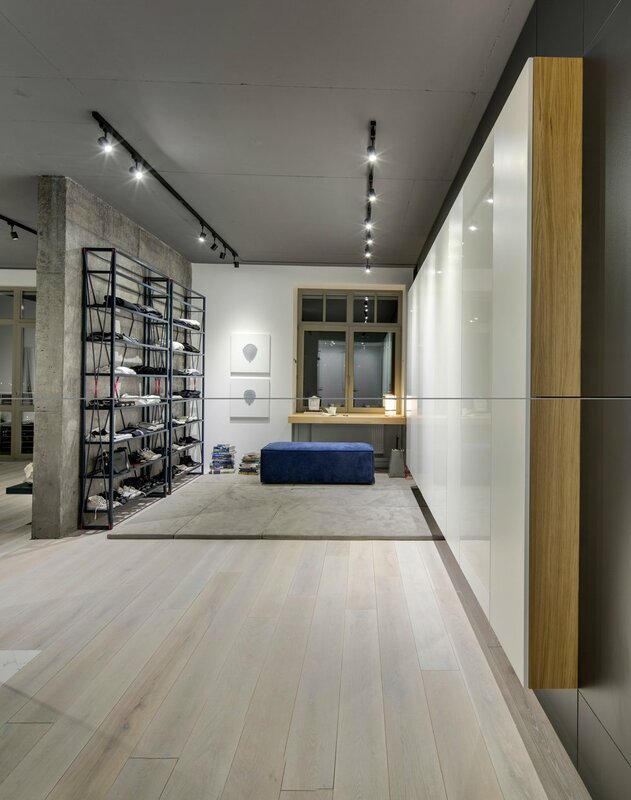 Zoning has been executed with glass walls only keeping the space visually open, yet when necessary electrical curtains can help create a cosy and in a way theatrical effect to a specific part of the space.